Are you looking for things to do outside with your family this summer? If you are going to be in the Wilmington, NC area, look no further than Mayfaire Township. Offering shopping, dining, residential properties, movies, hotels and an office park this “go to” location has something for everyone including outdoor events. Upcoming events include family oriented fun at Barnes & Noble. Every Tuesday at 10 a.m. toddlers can participate in Toddler Storytime. Bring the entire family on Fridays at 7 p.m. for Family Storytime. Each Saturday at 11 a.m. there is a Special Storytime and each second Tuesday at 7 p.m. an American Girl Night. For those inspired by mystery a Magic House Night is offered each third Thursday of the month. A community-wide event, Stuff the Bus, will be held August 5th. Communities in Schools of Cape Fear will collect school supplies at Mayfaire Town Center in front of Regal 16 Cinema on August 5-6 from 11 a.m. – 7 p.m., and again on August 7, 12-5 p.m.
University of North Carolina at Wilmington fans will enjoy UNCW Shopping Weekend August 13-14. 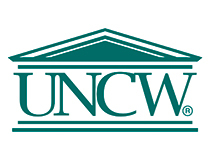 Shops throughout Mayfaire will be offering special discounts for UNCW students. October is Breast Cancer Awareness Month and Mayfaire Town Center is hosting a Run for the Ta-Tas on Saturday, October 1 with registration beginning at 6:30 a.m. This Chaser Run is one of a kind in the Wilmington area. Music and entertainment will be provided. The Cape Fear Heart Walk brings thousands to walk for funds supporting lifesaving education about heart disease and stroke research. The walk will take place on October 15th in the parking lot between the Macaroni Grill and Smokey Bones on International Drive. Registration begins at 8:30 a.m. The Coastal Carolina Auto Show allows dealerships to showcase their new and exciting models. This year’s event is sponsored by StarNews Media and will be held across from Belk on October 22-23. Mayfaire Town Center is a designation for fun and family. The convenience to the larger Wilmington and Wrightsville Beach area makes it an easy regular favorite of residents and guests. The Township also provides living, shopping and an office park area. Enjoy living in the Mayfaire Township. There are several communities to choose from including homes such as 557 Garden Terrace Drive 205. When you are ready to view residential properties at Mayfaire, let us assist you as a Buyer’s Agent. Contact us for more information.